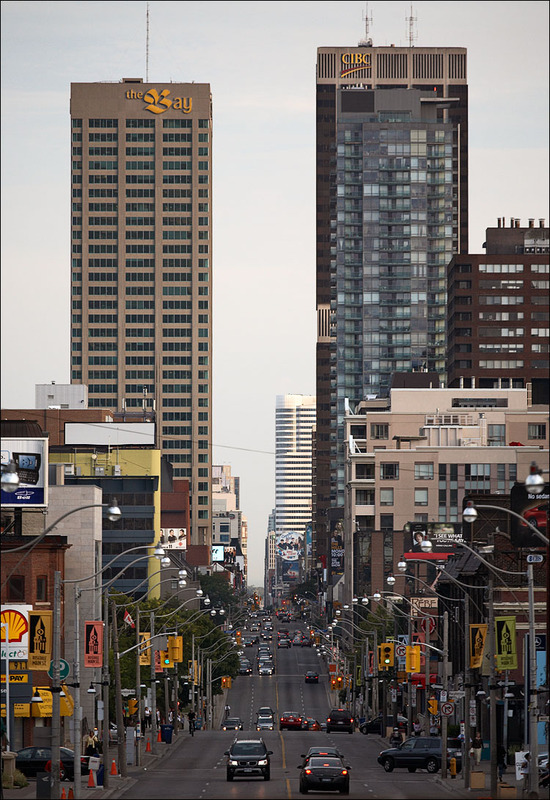 In Toronto, I find that people are generally very loyal to their "side" of Yonge Street. Growing up, we always lived in the East end. I attended elementary school, junior high and high school in the east - even when we moved to the Junction halfway through my grade 11 year. 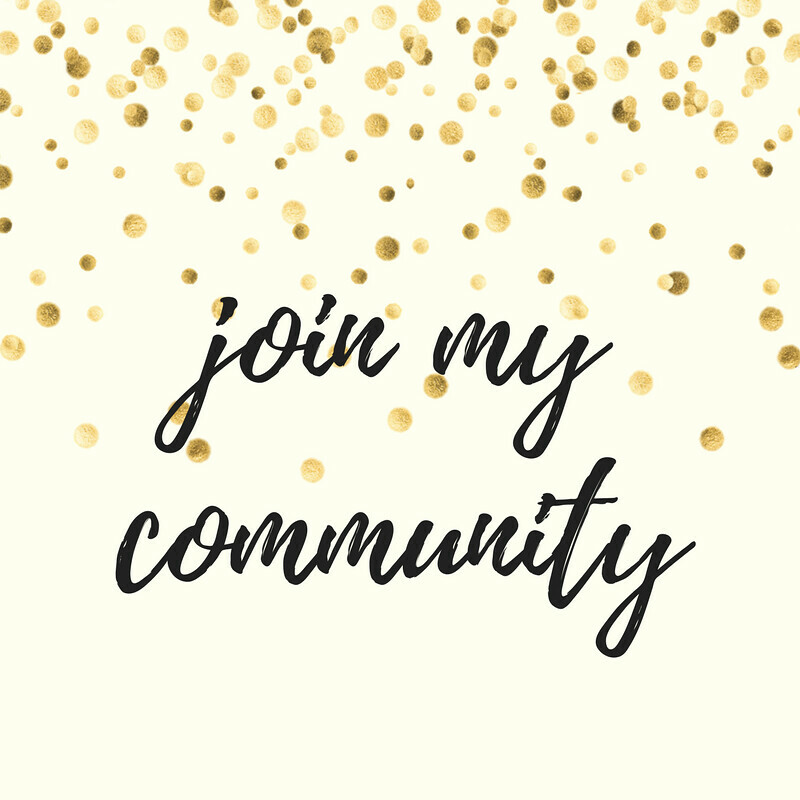 Even though I resided in the West end for about 4-5 years, I was an East End girl at heart! I love the vibe of the east end, especially The Danforth. Everything is within walking distance. There are restaurants, yoga/dance/pilates studios, fruit & veggie markets and fantastic stores! I'm also a big fan of Leslieville and The Beach (or Beaches, depending on how you roll). Joey has only lived in Toronto for about 9 years, and until I met him, he always lived on the West side of the city. 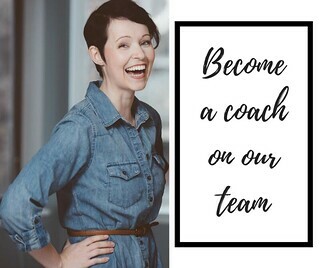 When we decided that we were ready to start looking for an apartment of our own (rather than his tiny "junior 1 bedroom" apartment where we couldn't stand in the kitchen at the same time for fear of stepping on one another) I encouraged a search in the East End. We found an apartment in a fantastic neighborhood that met a lot of our needs for a decent price, yet he was still hesitant. "I don't know about the East Side" he said. Somehow I convinced him and we haven't looked back since!! We both love our neighborhood and everything is has to offer. That being said, we do travel to other parts of the city, even into the West End, which is exactly what we did on Canada Day. 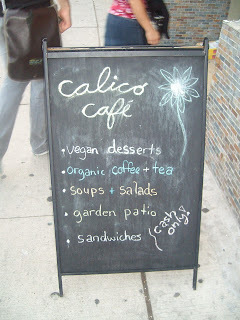 My friend Lori had been telling me about this new restaurant some friends of hers were opening called The Calico Cafe. The Calico Cafe opened less than two weeks ago and boasts a menu of freshly made juices, fair trade coffee and espresso, salads, sandwiches, as well as treats and catering. Lori sent me a facebook message with their brunch menu with a note along the lines of "you could find lots of choices here!" (She's so thoughtful of my food needs) so we decided to check out their dinner service on Canada Day. 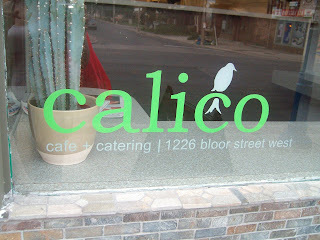 Located on Bloor between Dufferin & Lansdowne, the Calico Cafe's exterior brightens up a bit of a sketchy neighborhood. The decor is simple and fresh, with meals being prepared for all to see at the center of the restaurant. 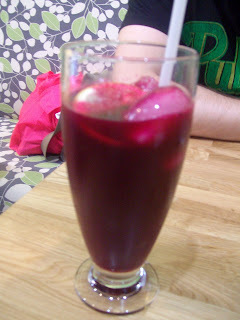 I started off with a beet-pineapple juice. 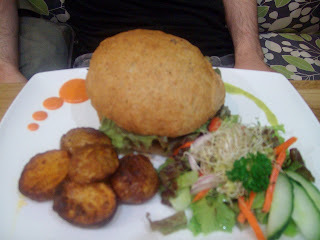 And Joey was feeling a bit adventurous and decided to go with the baked seitan sandwich with a creamy leek sauce. My salad was lovely and refreshing. All of the components were yummy and everything came together nicely. 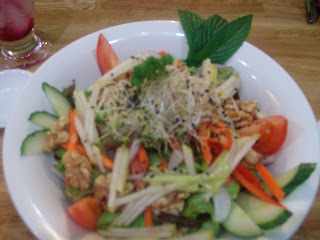 It was a perfect portion for me and I enjoyed the addition of the walnuts. I only wish that it had contained some tofu or tempeh to up the protein a little, but overall I really liked it. Lori, Dany (and Joey, who tried a bit of everything) really liked the tofu sandwich. Lori said it was similar to something she makes at home and everyone agreed that the potatoes were stellar! Presentation on all the dishes was fantastic. Joey really enjoyed the seitan!! I was really proud of him for venturing out and trying something new (the chef did give him a sample of the seitan to try before committing to the sandwich) His only complaint was that there was too much bun for the sandwich, but otherwise he really enjoyed it. I was hoping to end off my meal with some sort of vegan dessert, but none of the offerings were gluten free. I talked to the chef about this, and he said that they were experimenting with gluten free vegan baked goods (and breads for sandwiches) but hadn't found a winner yet. I look forward to heading back to the Calico Cafe and seeing how it fares and evolves in the coming months. They were working on a back patio, which should be opening soon. I foresee a brunch on the patio in the coming weeks!! It's a good excuse for me to cross over to the West side. What a fun place! Our fun restaurant is called Grassroots. They don't have a gluten free, vegan dessert yet either. Lets keep our fingers crossed! Thanks for reminding me that a loss is still a loss. I need to borrow some of your constant positivity! I agree with you about The Danforth as you've probably noticed. The area is so refreshing. Everything you said is exactly why I love it. 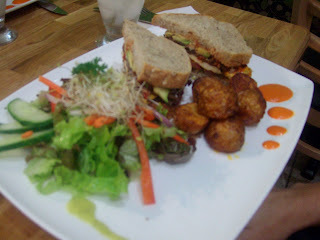 The Calico Cafe is within walking distance to Greg's so I'm definitely going to go check it out in the next week or so. Hopefully he'll be as adventurous as Joey. THANK YOU for posting a link to the Seitan. I had noooo idea what it was or had even heard about it. How do you pronounce it, though? I wanna say "Satan" with the inflection on the second syllable, haha. as in. "You just ate a SATAN SANDWICH!!!????" "No Dahhhhling, I ate a Sa-TAHN sandwich, and it was sinfully delicious." Ok. A bit far. But you know I'm gonna try this when I hit a city next! This place looks interesting. I also love the food options in Little India, but I'm not sure about vegan options there. Siddartha is vegetarian and it's delicious. 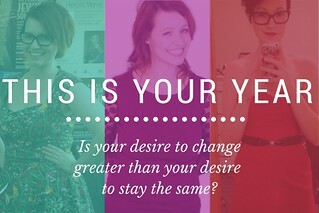 I'm rambling now... great post! See you tomorrow at the Carrot!